NASA on September 5. " Unnecessary wars cost trillions of dollars. Spacecraft mission costs are more like a billion dollars. on a per-capita basis, this is only 8 cents per U.S. resident per year, or roughly half the cost of one candy bar each year since project inception. 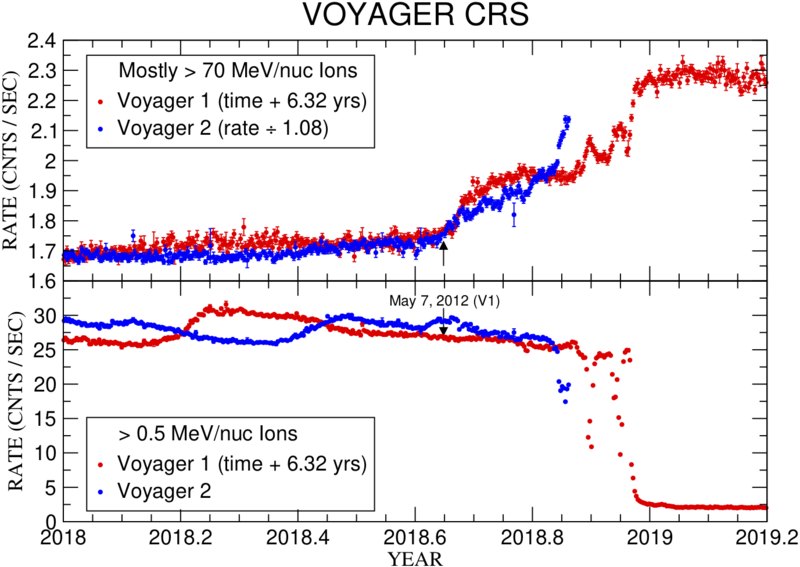 the entire cost of Voyager is a fraction of the daily interest on the U.S. national debt. A total of five trillion bits of scientific data had been returned to Earth by both Voyager spacecraft at the completion of the Neptune encounter. This represents enough bits to fill more than seven thousand music CDs. for millions of human beings. Indeed! “These missions caused us trillions of dollars” of benefits in knowledge gained. ( the zone of the Andes). by flying high, very high. You mean this beautiful song, don't you, Saturno? I agree, it deserves to fly to the stars! I have enjoyed your posts here! You mean this beautiful [Simon & Garfunkel] song, don't you, Saturno? I agree, it deserves to fly to the stars! <<El Cóndor Pasa, Spanish for "The Condor Passes") is an orchestral musical piece from the zarzuela El Cóndor Pasa by the Peruvian composer Daniel Alomía Robles, written in 1913 and based on traditional Andean music, specifically folk music from Peru. In 2004, Peru declared this song as part of the national cultural heritage. This song is now considered the second national anthem of Peru. Daniel Alomía Robles's "El Cóndor Pasa" was first performed publicly at the Teatro Mazzi in Lima in 1913. The song was originally a musical piece in the Peruvian zarzuela (musical play), El cóndor pasa. The piano arrangement of this play's most famous melody was legally registered on May 3, 1933 by The Edward B. Marks Music Corp. in the Library of Congress, under the number 9643. The zarzuela is written in prose and consists of one musical play and two acts. In 1965, the American musician Paul Simon heard for the first time a version of the melody by the band Los Incas in a performance at the Théâtre de l'Est parisien in Paris in which both were participating. Simon became friendly with Los Incas band, later even touring with them and producing their first US-American album. He asked the band for permission to use the song in his production. The band's director and founding member Jorge Milchberg, who was collecting royalties for the song as co-author and arranger, responded erroneously that it was a traditional Peruvian composition. Milchberg told Simon he was registered as the arrangement's co-author and collected royalties. In 1970, the Simon & Garfunkel duo covered the Los Incas version, adding some English lyrics which in turn added Paul Simon to the author credits under the song name "El Cóndor Pasa (If I Could)". The instrumental version by Los Incas was used as the base track. They included the song on the 1970 album Bridge Over Troubled Water. Simon & Garfunkel released their version as a single in the U.S., which reached #18 on the Billboard Pop Singles chart and #6 on the Easy Listening chart, in fall 1970. This cover achieved major international success and fame. Thanks for correcting me, Art. Indeed, the song is not by Paul Simon. The melody the condor passes has 4.000 versions. Australia’s national science agency, CSIRO, is supporting NASA’s Voyager 2 spacecraft as it enters interstellar space – becoming only the second spacecraft, after its twin Voyager 1, to reach this milestone. Voyager 2 is approximately 18 billion kilometres from Earth. Voyager mission scientists have been closely monitoring the spacecraft for signs that it has exited the ‘heliosphere,’ a protective bubble created by our Sun as we move through our galaxy. 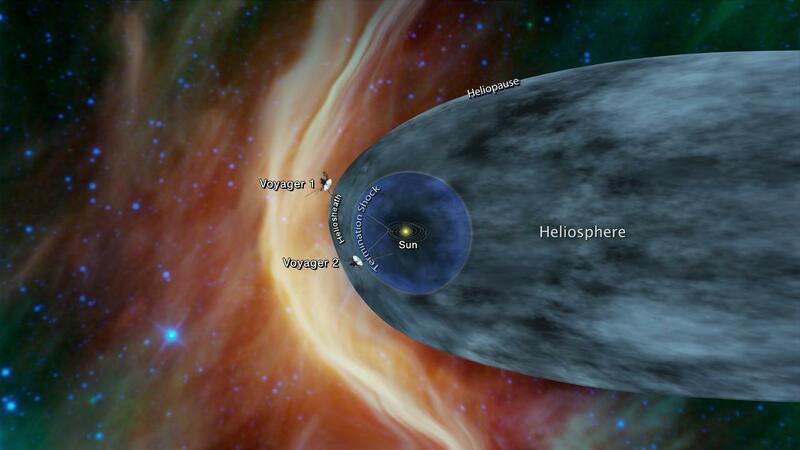 NASA has today announced that on 5 November 2018, Voyager 2 crossed the outer edge of the heliosphere to reach the space between the stars. On 8 November 2018, CSIRO’s Parkes radio telescope joined NASA’s Canberra Deep Space Communication Complex (CDSCC), part of NASA’s Deep Space Network, to receive unique and historic data from Voyager 2. This provides a clearer picture of the environment through which Voyager 2 is travelling. The Parkes telescope will continue to receive downlink data into early 2019. "At the end of 2018, ... Credit: NASA"
NASA doesn't realize 2018 hasn't ended yet?